12I want you brothers and sisters to know that what has happened to me has helped to spread the Good News. 13All the palace guards and everyone else knows that I am in prison because I am a believer in Christ. 14Because I am in prison, most of the believers have become more bold in Christ and are not afraid to speak the word of God. It is often challenging to find God in difficult circumstances. There are some Christians who believe that hardships and suffering are never of the Lord. They believe that the hardship is always sent by satan or the suffering would be overcome if we had enough faith. I reject those teachings, not because of my own experiences, but because of passages like this one. In the midst of hardship, Paul was able to not only find God, but to find God’s purposes – to see how He was using Paul’s circumstances. Paul saw that God was using his circumstances in two ways – to bring others to Christ, and to encourage believers to be more bold in their walk with the Lord. And in that, Paul finds the joy of the Lord. Not joy in his circumstances, but joy in the Lord in the midst of his circumstances. And the joy of what God is doing overwhelming exceeds the difficulties of his circumstances. Imagine the impact the two different kinds of prayers have on the pray-ers? One leaves them defeated. The other leaves them trusting and walking in the anticipation of see God’s hand at work in their lives. Every day I pray for wisdom to balance my many competing priorities. This morning, I realized that I make that prayer in an attitude of anxiety. Anxiety does not equal faith. I’m changing the words I use and the attitude with which I pray them. So today, I take a deep breath, put a smile on my face (a real one, not a plastic one) and I thank God for his direction throughout my day. Because He has solutions to all of it. Friends, how we pray makes a world of differences in how we live our lives. Paul wanted the Philippians to pray for him with boldness. He wanted them to see the victory that perhaps they weren’t seeing. He didn’t want them to see poor Paul stuck in prison. He wanted them to see God moving in the lives of Paul and those around him and producing miraculous results in the salvation of the jailers and the boldness of other Christians. Lord, help me see You at work, not my earthly circumstances. Especially when things don’t seem to be going right. And prick my spirit when I forget to be thankful for all those circumstances. Why do I tell you this today? Because it’s been seventeen days since my last blog. This is the longest I’ve gone without posting. Over the past month we have had extraordinarily short deadlines at work and other unexpected activities that simply left absolutely no time for writing and posting blogs. It’s been a pretty chaotic time and even when I’ve had the time to write blogs, I didn’t have time to post them. The cool thing is that during the past couple of weeks, I have been very aware of my neglect of Apprehending Grace and totally at peace with it. I have a pretty strong sense of “ought to” that I regularly have to push away from. Over the past few weeks, God has taken care of that for me. So getting back into the swing of things, I thought I’d reflect on that peace and how it happened. During this time, I very purposefully looked at my schedule each morning and asked God to identify the top priorities for the day. I’d pray, review my To Do list, pray again, then write numbers next to the tasks indicating their priority. I took time to do this no matter how busy we were. Each day I’d have “AppGrace blog” on the list. Each day it either didn’t get a number next to it, or the number was so low I never got to it. Because I had started the day asking God to put things in priority, I was able to sleep in peace each evening. I knew I was working as hard as I could, so if it didn’t get done, then it wasn’t God’s priority for my day. Throughout the day I was intentional about pausing to breath in God’s presence when I moved from project to project. It was my “presence of God pause” – I’d take a deep breath and concentrate for a few seconds on God’s goodness. I was reconnecting with God’s presence in the midst of the chaos around me. I purposefully prayed each evening thanking God for His goodness and faithfulness. At bedtime God’s peace would try to slip away as all that was left undone would try to flood my mind. I kept that from happening by praying – sometimes aloud to keep the enemy at bay. Each morning, no matter how tired I was, I thanked God for the day ahead. I read God’s Word each morning. I didn’t always read as much as I typically would, but I read something. One morning (very near the end of the busy time) I realized that I was putting my makeup on like a wild woman! My hands were moving so fast dabbing at the powder (with more force than necessary) that it was actually adding to my stress. When I realized it, I stopped and purposefully slowed my movements. It made a huge difference in my stress level. I realized that I was adding to my stress by acting as if I were under stress. I didn’t need to be under stress. I was experiencing God’s peace, yet I was still letting my mind and body register stress. In other words, I truly had peace about what wasn’t getting done, but during the day I was allowing myself to feel stressed about all I needed to do. I’m not sure that makes sense but it was my experience. What I found was that the moment I relaxed my movements, I felt less stress and greater peace. I have a tendency to move too quickly when I’m stressed. All that does is increase our stress. It really doesn’t help us get things done more quickly. More often than not it causes us to drop things or spill things or make mistakes. At least that’s my experience. I didn’t do any of the things I did right as consistently as I’d like. I forgot to pause between tasks to breath in God’s presence, I did complain, and I didn’t ask for help as much as I could have. There’s always room for improvement. Exercise and healthy eating fell by the wayside. Ugh. Time to recover the good habits I’ve lost over the past 2 months. God’s peace is a wonderful thing. He promises that He will keep us in “perfect peace” when our mind is steadfast on Him (Isaiah 26:3). I wouldn’t say that the peace I experience was “perfect peace” – it slipped at times. But then, my focus wasn’t always on the Lord, either. But I experienced much more of it than I usually do. Thank You Lord! Sometimes we really do see ourselves making progress! It feels really good to be back in my routine. I’m looking forward to more writing. And enjoying the short time left before Christmas. Merry Christmas, friends. Enjoy God this season! Despite my busyness, I sure have been. More about that in my next blog! Like I said, not your typical prayer. Let’s look at it. 17I keep asking that the God of our Lord Jesus Christ, the glorious Father, may give you the Spirit of wisdom and revelation, so that you may know him better. 18I pray also that the eyes of your heart may be enlightened in order that you may know the hope to which he has called you, the riches of his glorious inheritance in the saints, 19and his incomparably great power for us who believe. That power is like the working of his mighty strength, 20which he exerted in Christ when he raised him from the dead and seated him at his right hand in the heavenly realms, 21far above all rule and authority, power and dominion, and every title that can be given, not only in the present age but also in the one to come. He gave God praise because He has blessed us “in accordance with the riches of God’s grace that he lavished on us with all wisdom and understanding” (v7b-8). He praised God because “He has made known to us the mystery of His will” (v9a). Having already written that God has blessed us with these things, Paul then went on to pray for them – that God would give the Ephesians the Spirit of wisdom and revelation, so that they might know Him better. I’m reminded that it’s important to pray for the things that God has already blessed us with. God has blessed us but many of those blessings are apprehended through prayer. So go ahead! Ask Him to bless you with all spiritual blessings. Ask Him for greater revelation. Even when you are experiencing those blessings – go ahead and ask for a greater measure of them. For yourself and for those around you. Notice the purpose of the wisdom and revelation – so that we might know Him better. It’s not wisdom for the sake of wisdom or revelation so that we might impress other people. It’s wisdom and revelation so that we can know God better. In my experience, knowing God better always leads to loving Him more. God blesses us with the Spirit of wisdom and revelation so that we might love Him more. If you know Christ, you are called by Him to be a witness for Him. You have been chosen to be holy and blameless in God’s sight. It’s not holiness of our own making, although we’re to live a life that is pleasing to God. Yet no matter how hard we try, we will do things that are not pleasing to Him. Still, through the blood of Christ, we are holy and blameless in His sight. Without the blood of Christ, He sees our sin. Through the blood of Christ we are holy and blameless. If you know Christ, you have a hope that goes beyond anything this world can give. The word translated as hope in the Bible means “confident expectation.” You have a confident expectation of the end game – and it’s not riches and a leisurely life. It is eternity with a loving, all-powerful God. It is the confidence that you have been blessed with every spiritual blessings (Ephesians 1:3). It is the confident expectation that He is always with you – never leaving or forsaking you (Joshua 1:5). It is the confident expectation that when you have breathed your last breath on earth, you will be in His presence (2 Corinthians 5:8). That’s the hope to which we’ve been called. The world doesn’t have those hopes. The world is negative because they see only the negative the world offers. Chistians – people called by God – are positive because they have hope. We are a people of hope. Hallelujah. Lord, when I forget that, please remind me. 3Praise be to the God and Father of our Lord Jesus Christ, who has blessed us in the heavenly realms with every spiritual blessing in Christ. 4For he chose us in him before the creation of the world to be holy and blameless in his sight. In love 5he predestined us to be adopted as his sons through Jesus Christ, in accordance with his pleasure and will – 6to the praise of his glorious grace, which he has freely given us in the One he loves. 7In him we have redemption through his blood, the forgiveness of sins, in accordance with the riches of God’s grace 8that he lavished on us with all wisdom and understanding. 9And he made known to us the mystery of his will according to his good pleasure, which he purposed in Christ, 10 to be put into effect when the times will have reached their fulfillment–to bring all things in heaven and on earth together under one head, even Christ. …As Believers, we are blessed, chosen, called, redeemed, forgiven, lavished with wisdom and understanding, and called. No wonder Paul calls us people of hope. Let’s live it! 1Have mercy on me, O God, have mercy! I look to you for protection. I will hide beneath the shadow of your wings until the danger passes by. 2I cry out to God Most High, to God who will fulfill his purpose for me. There are times when the only thing that brings relief is crying out to God – “Have mercy, oh God!” Times when the things of this world seem to rage against us with no relief. Whether it’s mounting bills or serious persecution, we all have places and times in our lives when we cry out to God for His mercy, when we look to Him for protection. If we’re smart (and I’m not always smart), we run to Him sooner rather than later. And if we’re really smart, after running to Him, we hide in Him until the danger passes. I was so struck by this second phrase of verse 1 – “I will hide beneath the shadow of your wings until the danger passes by.” I’m afraid my tendency is to cry out to God, then go out to face my battles. How foolish of me! It’s like asking for an umbrella, being given one, then dropping it on the sidewalk as I run into the raging storm. Running to God is great, but remaining in Him throughout the battle is where our protection and victory lie. God will fulfill his purposes for you if you go beyond crying out to Him. Cry out, then wait and hide. Wait for your answer. Wait for His strength. Wait for His timing. That’s where His Spirit is moving. That’s where His protection is. Stay in it. Cry out to God again and again and again. And again. John Maxwell, author of The 21 Irrefutable Laws of Leadership says this: “What a person does on a disciplined, consistent basis gets him ready, no matter what the goal.” Be disciplined and consistent about crying out to God. Find triggers that remind you to cry out to Him – every time you reach for your coffee cup, every time you switch tasks, or every time you answer the phone, for example. Learn to cry out to God regularly throughout the day. The more you cry out, the more you will sense His response. Decide to stay in His peace – then do it. Period. “I will hide beneath the shadow of your wings” the psalmist wrote. It is much easier to allow ourselves to slip into worry, criticism or frustration. Don’t do it. Purpose in your heart that when you find God’s peace you will stay there. That means rejecting the temptation to leave it. When tempted to worry, pull your mind back to God. Cry out to Him again. Worship Him. Breathe deeply and let His presence and His peace fill you. It all starts with the decision – the “I will” – to remain in Him instead of letting your emotions rule you. Speak spiritual truths to yourself. The Psalmist reassured himself that “God will fulfill His purpose for me.” Make that your mantra. Or take a verse that God has highlighted to you and make that your mantra. Three steps to remaining in the presence of God? Well, yes and no. Yes, I am fully confident that following these three simple steps will keep you in God’s presence. And no, it’s not that simple. Because God is both simple and complex. His Gospel is simple enough for a child to understand yet complex enough that we can spend all our lives studying it without having plumbed the depths of His grace and mercy. So start with these steps and trust that God will reveal more as you hide in Him. FUD. I thought it was a word that Phil and I had made up, but I did my due diligence by looking it up on Merriam-Webster’s online dictionary…and found it’s both a word and an acronym – which is exactly how we’ve used it. A fud is a fuddy-duddy – a person who is stuck on old ideas and old ways. FUD is also an acronym describing Fear, Uncertainty and Doubt – three qualities that the world breeds. Three qualities that lead us to becoming stuck on old ideas and old ways. Fear, uncertainty and doubt paralyze us. They make us anxious. I’m developing a new marketing project at work. This blog is one I need to hear because I’ve been paralyzed by indecision on this project. As I write this, I recognize that the indecision is based on the FUD factors. Fear that I’ll fail – How foolish is that? So what if I fail? I’ll learn from it and just try again. This is not a life or death project. So what if others see me obtain poor results. Doubt in myself and my ability to be successful – Have I learned nothing from my long walk with the Lord? Without Him, I am nothing. My trust must be in His abilities, not my own. Pleasing Him is my success, not making right decisions about marketing issues. If I let myself, I can go down a long, dark road associated with making the wrong decisions on this project – but it’s all associated with FUD factors. It all boils down to being afraid I’ll make wrong choices and I’ll lose all my clients. You see, fear, uncertainty and doubt are satan’s substitutes for faith. If he can get us focused on those qualities instead of faith, he can paralyze us – keep us from making the decisions needed to move forward. There is no need to fear – All authority in heaven and on earth has been given to Jesus. There is no need for uncertainty – All authority in heaven and on earth has been given to Jesus. There is no need to doubt – All authority in heaven and on earth has been given to Jesus. 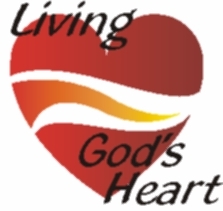 Which takes us back to our “Living God’s Heart” topic from last month – giving thanks. It builds our faith. It brings us peace. It removes our anxiety. It wipes away the FUD factors. When the FUD factors have been demolished, when God’s peace fills our heart, faith and confidence grows. Is indecision paralyzing you? It’s probably because you’ve lost a bit of confidence in God. Thank Him, ask Him for wisdom, remind yourself that He is with you and that He has all authority. Let faith grow in your heart. He’ll fill your heart with faith. I need some of that to make the decisions I need to make this week. I think I’ll go take my own advice! How about you? Do you need to spend a little time with God? Enjoy it! Lord, forgive me when my focus gets out of whack and the enemy creeps in with FUD. Thank You for allowing me to “go” in Your name – to be Your representative here on earth! What an awesome privilege and responsibility. Help me represent you well. Lead me in the decisions I have to make along the journey. Satan – get your lies and temptations away from me. I choose to trust God. Because all authority has been given to Him. He has won. And I serve the winner. Lord, lead me. I’ll follow. Ya’ll can’t see it, but I’m smiling. Praying does that for a person.